Hainsworth TopTable provide a comprehensive range of high quality woollen snooker cloths manufactured in England yet covering the best snooker tables in the world. 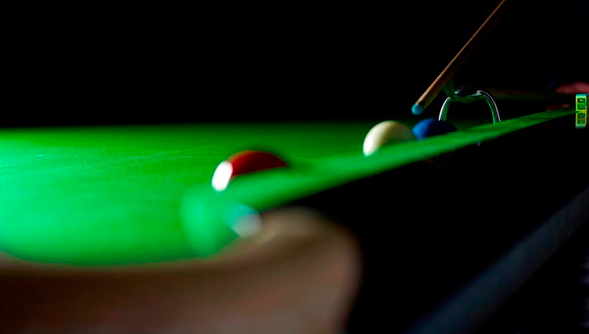 A worldwide expertise which balances the preferences of the players with the necessities and durability of the clubs, Hainsworth are proud to provide the only cloth that challenges snooker players to be the best they can be, a cloth that even the professionals must refine their skills to master. Hainsworth TopTable cloth is not only the players choice, it is the recognised and respected brand all the way through the supply chain. From skilled fitters and tradesmen to the major names and brands, Hainsworth is the undisputed leader for innovative cloth with exceptional customer service. The Hainsworth range of napped wool cloths are created from the finest Merino wool manufactured for durable wear and performance with a precise directional nap finish. 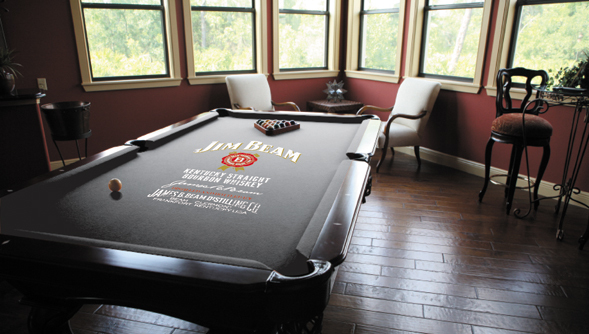 It is using these techniques that have made Hainsworth snooker cloth the specified choice for generations of world class professional players. Hainsworth napped cloth is a finely ‘engineered’ product designed for optimum playing performance. Hainsworth manufacturing expertise is supported by continued investment in the latest processing and finishing technology to achieve the highest levels of playing performance and long lasting appearance. Hainsworth high quality cloths are available in a wide range of colours and sizes to match any design of table. View our TopTable Products. Hainsworth printed Pool cloths offer high impact promotional advertising and brand visibility in notoriously competitive bars, pubs and clubs. Top quality pool playing surface are transformed into high visibility message carriers or brand reinforcement opportunities. As the original pioneers of printed pool cloths in the UK, at Hainsworth we have access to a wide range of corporate logos and brand designs in our portfolios. Our experience in design, development and print production put this distinctive option within easy reach of most business or domestic table owners. Hainsworth have created a printed cloth offering clarity of print, durability, ability to create numerous designs, no resistance to the ball. This unique printing application process is created by dyeing the base cloth with a dischargeable dye recipe. The paste applied to the cloth is made from a closely guarded recipe and is unique to Hainsworth. More information on printed cloth.